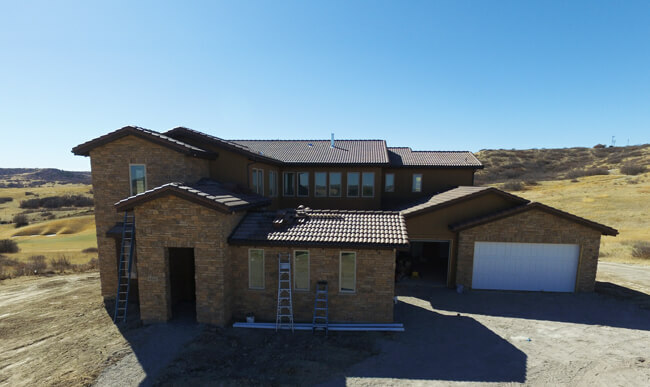 Scheduled for a summer completion, 4600 Wildgrass Place (pictured above) is an excellent opportunity to skip the typical construction wait and own a new luxury home at Pradera. This stunning Tuscan-inspired home offers 5-bedrooms and 6.5-bathrooms and occupies a 1-acre homesite along the 7th hole of the Club at Pradera golf course. The home is packed with upgrades and designer finishes including a finished basement and a 3-story interior courtyard. Don’t miss this opportunity, click here to learn more about this home. To schedule a showing, contact Craig Penn via e-mail or call 720-851-9411. Pradera offers new luxury homes on large .6 to 1.5 acre homesites in a gorgeous Douglas County setting situated between Parker and Castle Rock. Many homesites at Pradera back to either open space, or the award-winning Club at Pradera golf course. Take an aerial tour of the community here. Homes at Pradera are priced from the $900’s.